Transcript and translation by Srećko Vojvodić. Now almost everybody understands that a counterrevolution took place in the USSR. 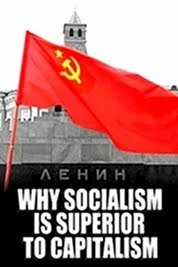 It is so simple to see it since up until then there was socialism in the USSR, as a first phase of communism, whereas now we have a fully established capitalism in Russia. 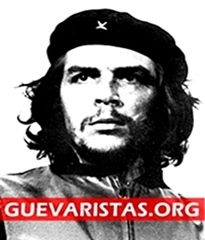 Therefore, it is not that only the counterrevolution happened, but also a restoration has taken place: all bourgeois institutions have been restored and we have a fully-fledged bourgeois state, with bourgeois democracy, as a form of the dictatorship of the bourgeoisie. Initially, some people deemed that it happened somewhere between the end of 1990 and the beginning of 1991. However, a deeper analysis shows that it was not so. Things do not happen that way. Transitions from one system to another do not happen instantaneously in history. Let us review some examples. 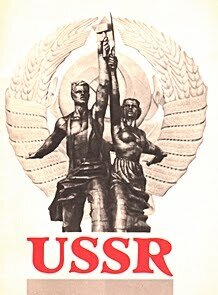 The transition from capitalism to communism took 18 years in Russia and the USSR: between 1917 and 1935. 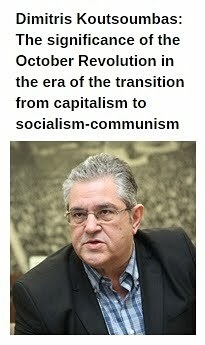 And how long did the transition between the first phase of communism back to capitalism take? This is the question to be deliberated. When is a state socialist? A state is socialist if the working class holds the power in it. And when does the working class hold the power? The working class holds the power when the dictatorship of the proletariat is being implemented. Then what is the dictatorship of the proletariat? 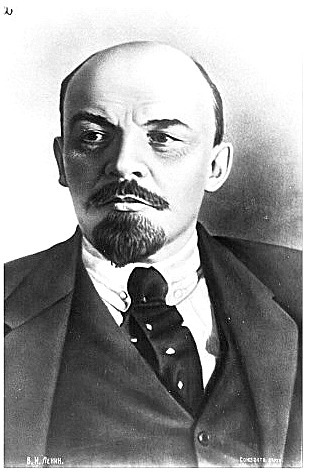 The dictatorship of the proletariat is, as indicated in Lenin’s Great Beginning, a scientific, Latin-derived, historical-philosophical expression, meaning that only a specific social class, namely urban, factory-based industrial workers are able to lead the whole mass of working and exploited people in the fight for a complete destruction of all classes. To be explicit, this means not only the liquidation of the exploiting classes, but also the elimination of the differences between the city and the countryside, between men of physical and intellectual work. Are the forces and traditions of the old society disappearing under socialism? Is not the class struggle waged under socialism against petty bourgeois mentality and attitudes? Has the working class under socialism completed its task, and have all social classes been completely destroyed, effectively ending class struggle against petty bourgeois mentality and attitudes? If you do not fight them, then they fight you! These are the petty bourgeois mentality and attitudes, which are present and which contradict the interests of the working people in a socialist society. Therefore, if we formulate the questions that way, it will become clear as to when the counterrevolution took place in the USSR: the counterrevolution took place in the USSR when the ruling party voted in its congress for the removal from its program of the centerpiece of Marxism, which is the dictatorship of the proletariat. 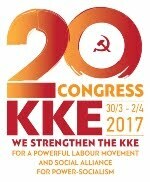 This happened in 1961, at the XXII Congress. That meant that this Party did not want to wage a persistent struggle against forces and traditions of the old society any more, that it did not want to wage this struggle any more either as a party, or as a leading force of the society, i.e. as a political party, holding in its hands the political power in the state. Consequently, based on the decision of the XXII Congress, the state changed instantaneously its nature: once a state of the dictatorship of the proletariat, it became a state of the opposite nature. What does this mean: a state of the opposite nature? It means: the bourgeois state. Some people ask “but where was the bourgeoisie?“ assuming that there was no bourgeoisie under socialism. That is true; there was no bourgeoisie – until the very moment, when this decision was made! However, as soon as it was made, what happened to the state apparatus, which managed the whole economic and political life? It started consisting of those people who, de facto, had a grip on the means of production. Then, if they earlier had to run those means of production for the sake of satisfying the needs of the whole society, in the interests of the working class – which expresses interests of all working people, now they became able to run those means of production for their own interests. In fact, it became their duty! A caste was thus formed which used the means of production for its own interests. In general, state ownership – if we are talking about it – is not identical to social ownership. State ownership is a form of social ownership only if the state belongs to the working class and acts in the interests of the working class. Therefore, as soon as the state ceases to act in the interests of the working class, the state property becomes property of a part of the society, and the property of a part of the society is private property. That way, beginning in 1961, private property of the ruling nomenclature’s highest echelon appeared in the USSR. Well, this private property was collectively owned – just as it is in any joint-stock company. In any such corporation private property is not individual, it belongs to all stockholders. In Russia, it happened that initially there was no fragmentation to individual stockholders; instead, everybody of this whole nomenclature highest echelon held it together in their hands. It should be noted that at this level of power only rare individuals remained in working-class positions, while everybody else jumped at the chance to appropriate this common, state property – which was no longer a social property. We may say that the best solution was found in Belarus. They did not undertake a fragmentation of this common private property. Therefore, state property, as a large private property, remained there. However, in the rest of the USSR, at the easy hands of Chubais, Gaidar and other ideologues: Nemtsov, Iavlinskii, Boldirev and other gurus of liberal capitalism, which did not grow up even to the imperialism, to the state monopoly capitalism, a decision was made to squander this state property, to tear it down to smithereens. This carve-up did not happen all at once. It was necessary first to bend the adversary; it was necessary to solve the problem that Nikita Khrushchov was solving when he put up the shooting of workers, and their children, in Novocherkassk in 1962. I think that anybody who will be considering this historical fact will have to conclude that if workers were being shot upon orders of the government head, then such a state was not exactly a working class state. Now, what those workers were demanding? They were demanding only that prices not be increased and tariffs not lowered – the same thing that workers demand all over the world. This is a demand for which nobody in the world, even in the bourgeois world, shoots at workers. Therefore, in this aspect, Khrushchov spat even over those who carry out the dictatorship of the bourgeoisie in other countries. Because of this, one may say that so begins, since 1961, the transition stretch from the first phase of communism to capitalism and further, that a political revolution took place at the XXII Congress in 1961. Accordingly, if we use the term “revolution” to denote transition from one economic order to another then such a process is very lengthy. It is evident that it lasted from 1961 to 1991 – which is a 30 years span – and it is much longer than the 18 years [needed for the transition from capitalism to communism, first in Russia, and then in the whole USSR]. This pushes against the popular notion that the Soviet Union “broke up”. No, it did not break up, it was fought against, from inside and from outside. By both traitors to the cause of socialism, to the cause of the Communist Party and to the cause of the working class within the top leadership, and by the external forces that were invited during Ieltsin’s years into all ministries, to reconstruct everything as a capitalist economy, and to direct it, not even towards interests of the Russian bourgeoisie, but towards the interests of foreign bourgeoisie, and especially those of the American bourgeoisie. So the whole thing was long lasting, and bears no similarity with a “breakup” of the Soviet Union. The Soviet Union resisted for a very long time and we know that there were forces that resisted. In 1989 the Unified Front of Working People was constituted and I participated in it, together with comrades Pizhov and Krasavin, as candidates for people’s representatives of the USSR from the national-territorial ward of Leningrad. We constituted the Leningrad Section of the Unified Front of Working People and then another such section was constituted in Moscow. Finally, a Joint Front of Working People of Russia was constituted – with the support of our trade unions, of some Party organs and some Party cadres. The Joint Front of Working People nominated Gen. Makashov for President and Dr. Sergueiev (Economics) – who used to be my Ph.D. thesis opponent – for Vice President, while I was Gen. Makashov’s Advisor. Therefore, it is impossible to say that nobody resisted – as a matter of fact, we resisted a lot. We had constitutive congresses of the communists of Russia – because all Party members who were in the Joint Front organized this constitutive movement, which stood against Gorbachov’s cupula, wrote a corresponding program and in this program we wrote: “Expel from the Party Gorbachov’s anti-communist faction conducting anti-people’s policies.” In my capacity of member of Leningrad Regional Committee, I moved a motion to vote on this proposal at a plenary session of the Leningrad Regional Committee. However, only 17 members of the Committee voted in favour of it, while some people who used to speak a lot about communism, such as Bielov, did not support my motion. They did not want to vote against Gorbachov. We defended this demand: Dolgov, Jelmeiev and I. 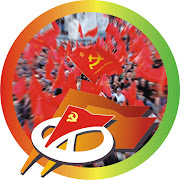 We collected Party organizations’ decisions, succeeded in constituting the Communist Party of the RSFSR and participated in authoring its Program. 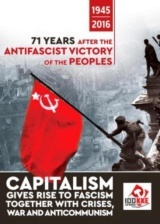 There was no revisionism in this Program and, therefore, those who wanted us to go to capitalism under red flags had to shut down both the CPSU and the CPRSFSR. Well, that was an openly counterrevolutionary action of Yeltsin’s power structure. At the same time, this struggle never ceased. Russian Communist Workers’ Party and after that Workers’ Party of Russia was constituted – which means that forces, opposed to the counterrevolution, have been acting and keep on acting. The counterrevolution in the USSR took place in 1961 but its preparations began in 1956 and even earlier. Judging by the attitude towards the foremost person who fought for socialism – comrade Stalin, of his former comrades-in-arms, indicates that even in the Central Committee a counterrevolutionary and anti-communist group was formed. Judging by their voting at the Congress, how they voted unanimously against the dictatorship of the proletariat, it becomes evident how they selected the Congress delegates – which means that Khrushchov’s group functioned well and, not accidentally, managed to intimidate Party officials by killing Beria because this is a dark affair and it is understandable that, as we were told then that Beria was an English spy, it was a fairly ridiculous accusation since Beria supervised both the nuclear program and the missile program, while building, at the same time, Moscow State University. Therefore, when such things are published, and we were observing that those people, who glorified Stalin and, so to say, were putting him on the shield, did not utter a single loud word in his defense during all this time, then it becomes clear why only much later the first pronouncements and correct evaluations of Stalin’s work began – which are now dominant, we may say. At that time, however, nothing of that kind could be heard. This is what we can say briefly about the counterrevolution in the USSR. * Mikhail Vasilyevich Popov is a Professor of the Department of Economics and Law at Saint Peterburg State University.